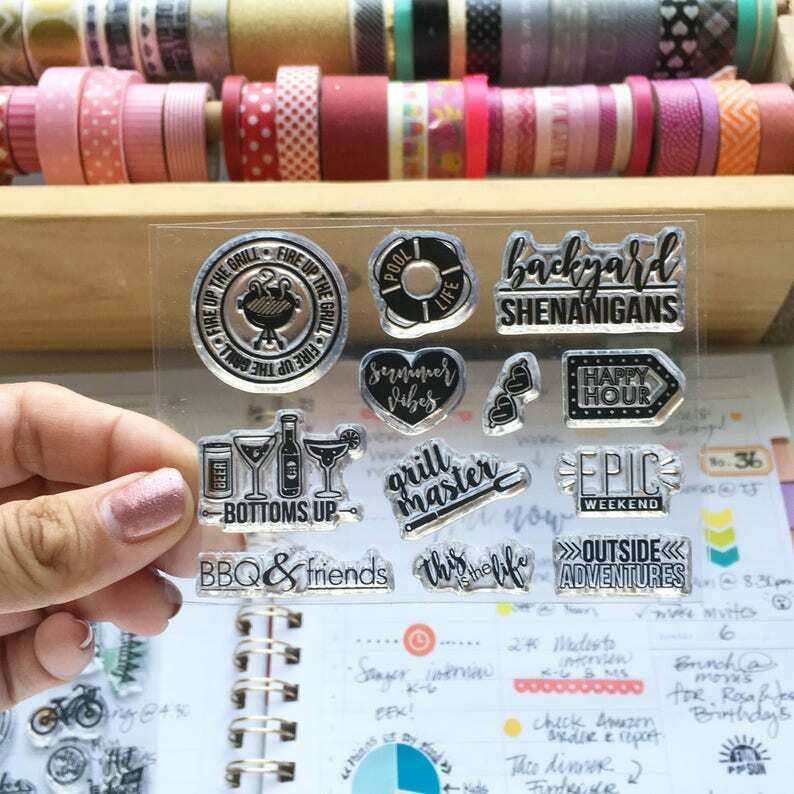 These stamps will help document all your backyard shenanigans! Whether its barbecuing with friends, swimming in your pool, or just enjoying your weekend. Use these on cards, scrapbook pages, journals, and planners.